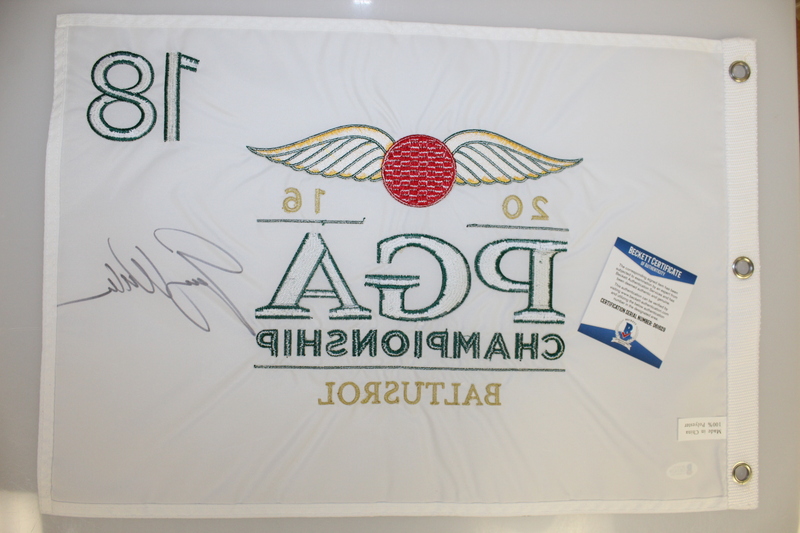 Offered here for bidders is a Jimmy Walker signed 2016 PGA Championship at Baltusrol embroidered flag. 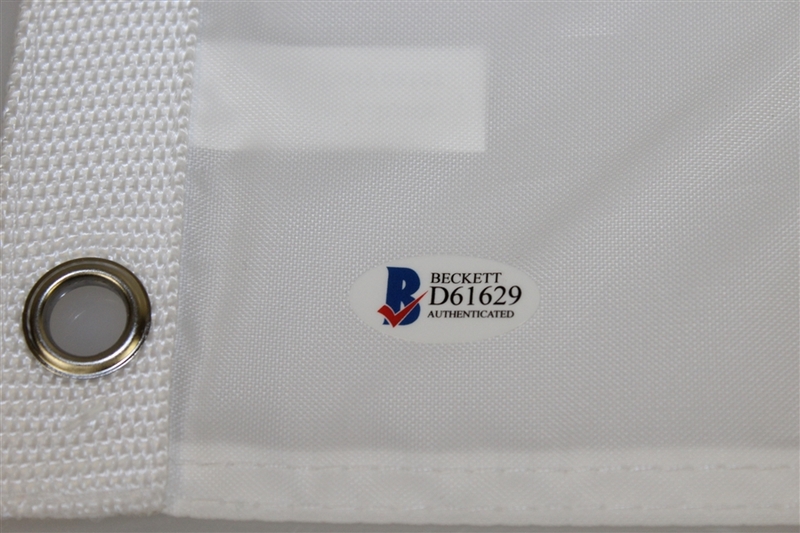 His signature comes with Beckett authenticity #D61629. After playing in 187 events without a win on the PGA Tour, Walker won three times in the first eight events of the 2014 season. 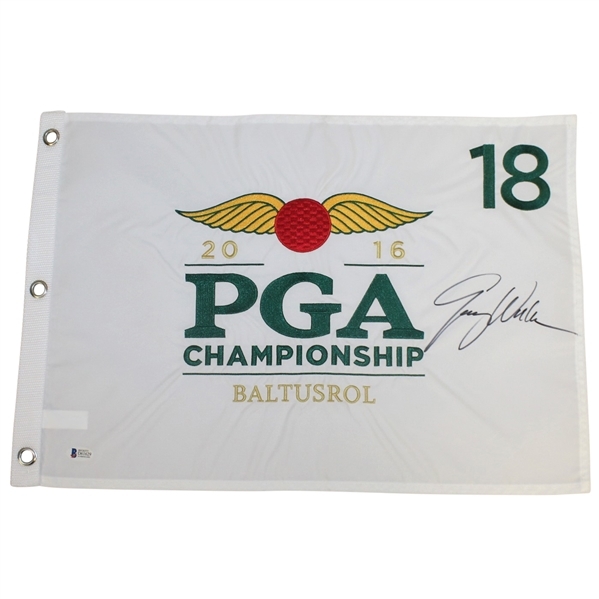 He is a six-time winner on the PGA Tour, and in 2016 won his first major title at the PGA Championship.